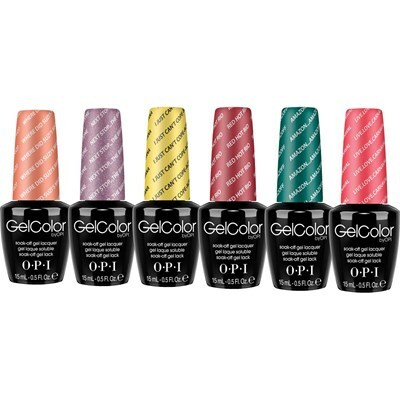 The Brazil Collection is available in GelColor! These shine-intense shades cure in 30 seconds and last for weeks. From its distinctive bottle and custom brush, to its unbeatably fast application and lightening speed cure...GelColor by OPI redefines salon gel services with durable, glossy OPI color! 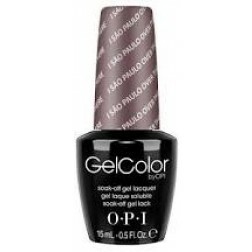 GelColor by OPI delivers faster services than previous Gel generations! Cures in 4 minutes per set vs. 12+ minutes for standard UV cure.